To make your afternoon tea time even more fancy, just bag a piece from these designer sets and add it to your personal collection. Then, stick out that pinky, sip, and repeat. Supermodel Miranda Kerr collaborated with the popular Royal Albert brand on her own collection of bone china tableware. Using a variety of pastels, florals, and butterflies fluttering about, Miranda says the final designs are something she’d proudly have in her own home. You can shop the entire Miranda Kerr for Royal Albert Collection here. 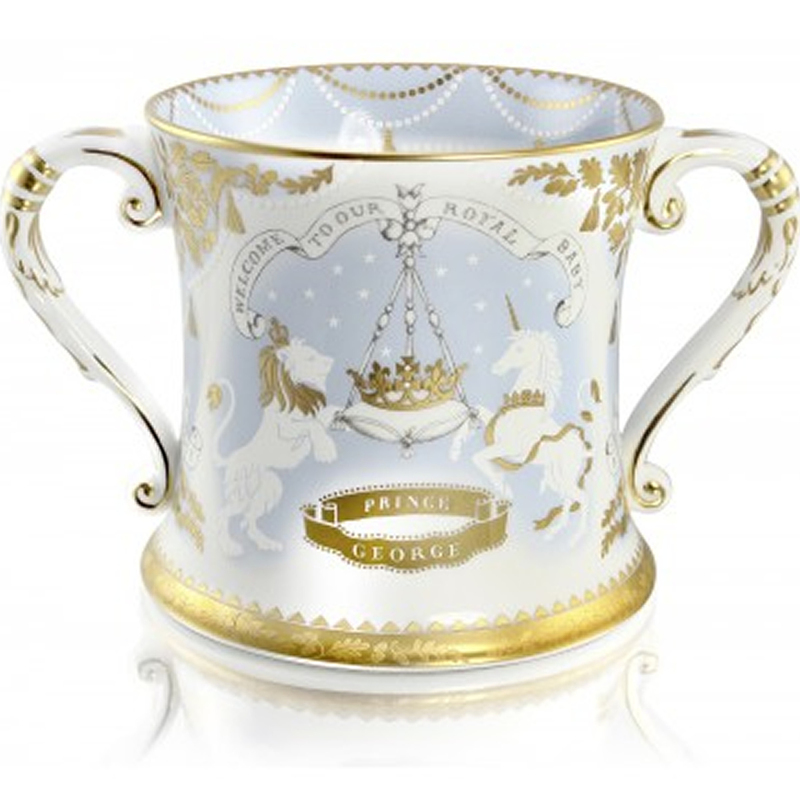 The July 2013 birth of the royal baby spawned countless souvenirs, however, the only official commemorative “loving” cup comes straight from the grounds of his official home, Kensington Palace. The pricey piece bears the royal family’s coat of arms and is made by the same pottery that produced the official china range celebrating the 2011 royal wedding. And forget being born with a silver spoon in one’s mouth, the heir to the throne’s cup is encrusted with 22-carat gold. 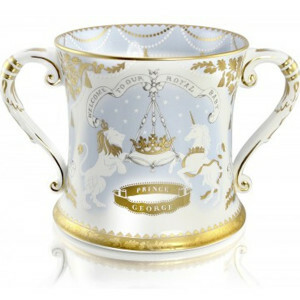 Peruse the all the royal baby china and make a purchase here. Even designer Rachel Zoe‘s tea set is designer. The English Breakfast tea fan ups the chic ante of her morning ritual by pouring and sipping from Versace porcelain pieces inspired by the brand’s most famous print. Go all Zoe by browsing Versace’s home goods here and steeping a pot of Rachel’s go-to Starbucks order of Tazo’s Awake tea. So my mama worked for @WedgewoodUK when I was a little girl & I've been obsessed with china ever since! This orange & gold set in Toronto was everything. #Smitten  Do you have a favorite color/ pattern? Reese Witherspoon says her mama worked for Wedgewood when she was a little girl and that she’s been “obsessed with china” ever since. This English homewares brand has tons of tea sets to choose from — Ms. Witherspoon was loving an orange and gold one she spotted in Toronto in September 2014. Just one cup and saucer could cost you about $50, so pick a pattern you love and build your collection slowly! 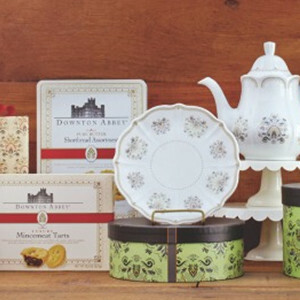 Cost Plus World Market came out with an entire line of Downton Abbey products, and everything a fan would need for a proper tea time. Check out the special seasonal collection here. Holly Madison‘s personal collection includes the above “Georges V tea set” as well as some more commonly found cups, like her coveted Disneyland-themed one from the Starbucks “You Are Here Collection” of mugs ($15) that she finally got her hands on in March 2015. (My husband and I are big tea drinkers so we make it a point to pick up one of the cutely-designed Starbucks cups in each city we travel to. They make the most perfect — and useful — souvenir). Nice post. 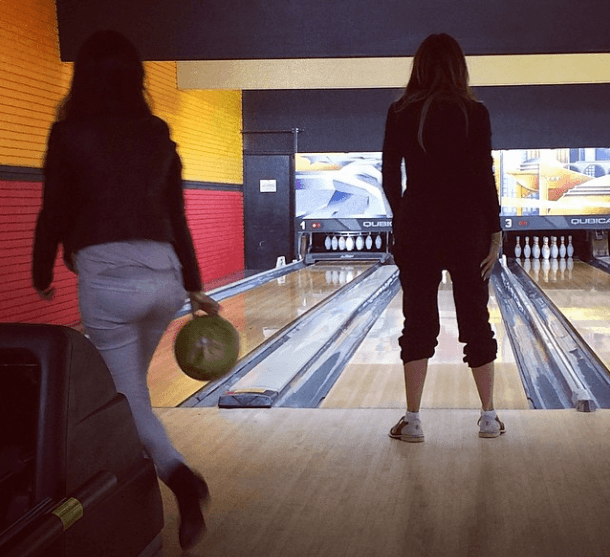 I used to be checking continuously this weblog and I am impressed! Extremely helpful info specifically the last part 🙂 I deal with such information a lot. I used to be looking for this particular info for a very long time. Thank you and good luck.